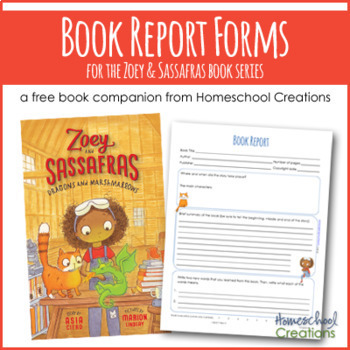 These book report forms were created to go along with the Zoey and Sassafras series by Asia Citro, but can be used as a go along for any book. 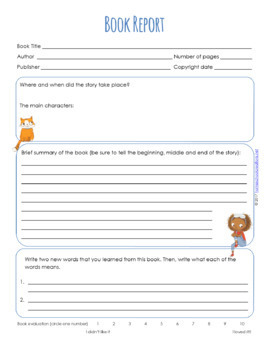 There are three forms with varying room for children to write. 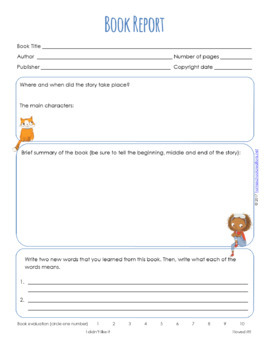 Each form includes space to record book information (title, author, copyright, etc), story setting, characters, a brief summary, two vocabulary words, and a book rating. All graphics were created and copyrighted by Marion Lindsay and used with permission. 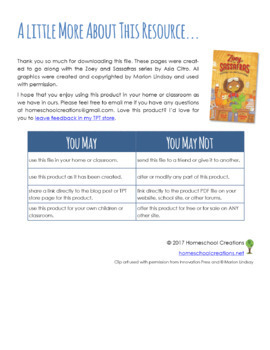 I hope that you enjoy using this product in your home or classroom as we have in ours. Please feel free to email me if you have any questions at homeschoolcreations@gmail.com. Love this product? I’d love for you to leave feedback in my TPT store.